You often hear companies touting their products as Made in America. Recently, DWM magazine looked at the Federal Trade Commission’s “Made in USA” Act which was designed to give the agency “the power to bring law enforcement actions against false or misleading claims that a product is of U.S. origin.” But other programs are in place as well to help consumers make informed decisions and this includes, Made in USA Certified®. Made in USA Certified® is the only registered “Made in USA Certified” Word Mark with the U.S. Patent and Trademark Office, according to the organization. “When we say it’s ‘Made in USA,’ you can count on it,” says Julie Reiser, president and co-founder. Any company bearing one of the USA-C™ seals has gone through a rigorous supply chain audit to ensure that the product and processes originate in the United States of America. The Earthwise Group LLC, a national network of locally owned, independent manufacturers of doors and windows, announced that the organization has recently been recognized as “Made in USA Certified.” The organization is the first and only door and window manufacturer to be Made in USA Certified, according to Earthwise. He also says the consumer is more willing today to buy American. So why should other companies look at this program? It’s completely different to say it than to prove it, she adds. “It says a lot about a company’s willingness to remain transparent. For companies it’s a powerful branding tool to distinguish among those who may be making false claims,” says Reiser. 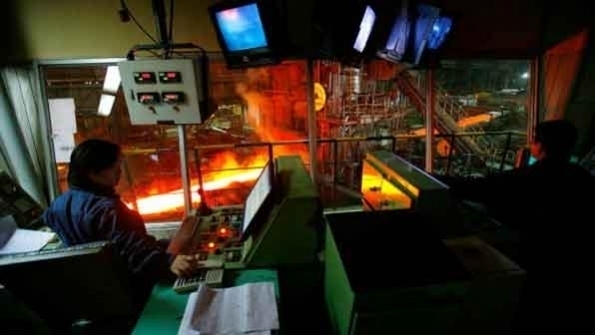 The European Commission found that Beijing illegally subsidizes Chinese steel producers. BEIJING (Reuters) – The European Union will not be drawn into a trade war with China, the EU’s ambassador to the country said on Wednesday, a day after trade sources said the European Commission found that Beijing illegally subsidizes Chinese steel producers. The Commission is investigating 37 dumping and subsidy cases, 21 of them involving China, and Tuesday’s preliminary finding asked EU members to back punitive tariffs against Chinese steel firms, a move that angered Beijing. But EU Ambassador to China Markus Ederer said he was puzzled by and “flatly rejects” reports of atrade war between the two economies which together comprise the world’s largest trade relationship. “I don’t want this to become a self-fulfilling prophecy. First of all, it takes two for a war, and I can declare here that the EU is not available for a trade war with China,” Ederer told a news briefing. China’s Commerce Ministry spokesman Shen Danyang on Wednesday called the Commission’s investigation into steel subsidies “unreasonable”. “Such a conclusion based on unreasonable investigations will seriously hurt Chinese companies’ legal rights and interests,” Shen said at a separate news briefing. European anti-dumping and anti-subsidy duties affect less than 1 percent of Chinese exports to Europe, Ederer said. “China, as well, has investigations, as you know, into European exports to China. We have no issue with that as long as it is under WTO rules,” he said, adding that observers should not “over dramatize” the issue. The Commission’s ongoing investigations include a study of the alleged dumping of 21 billion euros of solar panels and components by Chinese producers. A preliminary ruling on that case, the Commission’s largest investigation to date, is due in the first half of 2013. The European Union is China’s biggest trading partner while for the EU, China is second only to the United States. 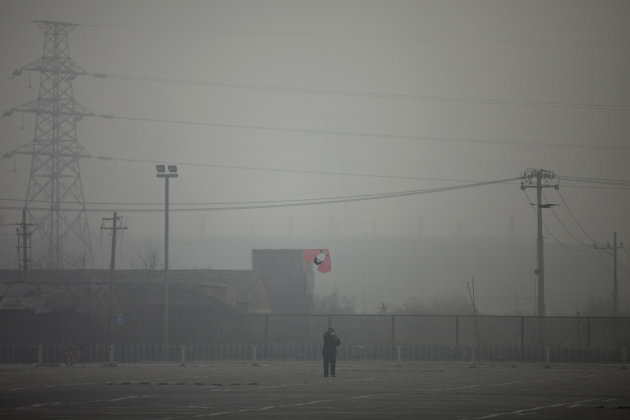 BEIJING (AP) — People refused to venture outdoors and buildings disappeared into Beijing’s murky skyline on Sunday as the air quality in China’s notoriously polluted capital went off the index. The Beijing center recommended that children and the elderly stay indoors, and that others avoid outdoor activities. The U.S. Embassy also publishes data for PM2.5 on Twitter, and interprets the data according to more stringent standards. GENEVA/WASHINGTON (Reuters) – The World Trade Organization barred China on Thursday from imposing duties on certain U.S. steel exports, siding with U.S. President Barack Obama in a dispute with Beijing over a type of steel made in two election battleground states. The case involved duties imposed by China on “grain-oriented electrical steel,” which is used in the cores of high-efficiency transformers, electric motors and generators. The steel is made by AK Steel Corp of Ohio and ATI Allegheny Ludlum of Pennsylvania. Although the specialty steel case is tiny compared with other trade disputes with Beijing, the WTO ruling gave Obama a timely win as he defends himself against accusations by his Republican opponent, Mitt Romney, that he is soft on China. “Today we are again plainly stating that we will continue to take every step necessary to ensure that China plays by the rules and does not unfairly restrict exports of U.S. products,” Obama administration trade representative Ron Kirk said in a statement. China’s Ministry of Commerce had no immediate comment on the ruling, which arrived late in the evening in Beijing. When the Obama administration filed the case, the volume of specialty steel trade with China was in the range of $250 million. That pales in comparison with the auto and auto-parts trade at issue in the most recent case Washington filed against China in September. The volume of auto parts trade alone amounted to about $12 billion in 2011, according to the Alliance for American Manufacturing. Tim Boyle/BLOOMBERG – Keeping your manufacturing nearby can trim your minimum orders and hasten your turnaround time. As a young business owner running a clothing line in downtown Los Angeles, I am frequently asked where we source our production. My response, “Right here in Los Angeles,” typically surprises those who ask. Think about it: In the London Olympics, United States athletes’ uniforms were made in China. Apple’s new iPhone 5, which some have predicted will raise the our GDP by 0.5 percent, is manufactured in China, too. Outsourced manufacturing has become the unfortunate norm. But in spite of the increased cost to our business, we’re happy to report that all of our production is vertically integrated under one roof. We consider the increased cost of domestic production a smart investment, and although offshore production is cheaper, the benefits of doing everything locally far outweigh the money outsourcing saves. This can be hard to explain to newlybootstrapped entrepreneurs, who often make the mistake of pinching pennies in areas that require smart investments. Supply chain and inventory are both areas that require these “smart investments” and skimping on either will result in too much or too little product. The pitfalls of having too much inventory are obvious, but for a new business, too little inventory can be just as disastrous to the company’s future growth. So is American manufacturing really dead? I don’t think so. Consider the advantages. 1.Without extreme cost-saving minimums, business owners can cut inventory tremendously. Our company originally brought in product from northwest Mexico, which enabled us to save 20 to 30 percent on production. However, we were forced to do larger production runs to meet their minimum orders. With a large inventory, we were forced to tie up much-needed capital and cash flow into the products we stocked. Cash flow is crucial for new businesses, but this is a delicate balance that must be finely tuned, because missed sales due to lack of inventory is worse than having too much inventory in the first place. By being made in the USA, we can fulfill these orders and maintain a skinny inventory because turnaround times are quick. 2.The speed of domestic supply chains is leaps and bounds quicker than that of overseas supply chains. Not only were our overseas factories asking us to meet hefty minimum orders, but their turnaround time was about three weeks slower than that of domestic manufacturers. This hurt because it didn’t allow our product to reach our customers as quickly. For a business to thrive, it needs to fulfill as much demand as possible. 3.Forecasting trends in the marketplace is more forgiving with a quick supply chain. The larger minimums and the longer turnaround time forced us to buy production runs in large numbers and forecast trends with little confidence in our predictions. It was a bet that cost us a substantial dollar amount — all to save 20 percent. The increased agility provided by domestic production allows you to react on the fly to the market, whereas with overseas production, a bum forecast may leave you sitting on a ton of dead inventory. 4.In the end, you may even end up saving money. Looking back, we would have made a better investment in developing our supply chains here in America rather than trying to cut costs from the onset. You are more flexible on an initial investment because you can start with lower inventory numbers, and your increased production speed will allow you to fulfill more reorders for your customers. This is a particularly important point, considering your highest margins are made through reorders. 5.Business advantages aside, think of your national pride! “Made in the USA” is currently one of the hottest trending topics in the country for a reason. Our country needs more jobs, and there is no better way to create jobs in America than to produce here. Production equals jobs — it’s a simple equation that many Americans ignore. A huge impact can be made with a simple push by young entrepreneurs to bring manufacturing back to the U.S. The trend will spark more followers and you will see a rise in jobs and manufacturing in America. “Made in the USA” is what built my business to what it is today. When starting your new business, ask yourself how you can harness the benefits of domestic production, too. You may be pleasantly surprised — just as those individuals were when they heard where our apparel is really sourced. Nicholas Ventura is the co-founder of Youth Monument Clothing, Inc. in Los Angeles, California. He is a member of the Young Entrepreneur Council (YEC), an invite-only nonprofit organization comprised of the world’s most promising young entrepreneurs. In partnership with Citi, the YEC recently launched #StartupLab, a free virtual mentorship program that helps millions of entrepreneurs start and grow businesses via live video chats, an expert content library and email lessons.